Membership Benefits :: Coombe Hill Golf Club welcomes visitors from all over the world to enjoy in the delight of meeting the challenges of one of Englandâ��s most highly rated and traditional courses. 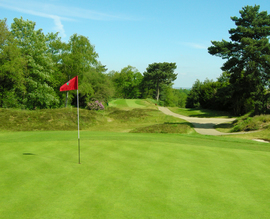 Coombe Hill Golf Club prides itself on a warm and friendly atmosphere. Members are able to enjoy the benefits of playing a course rated in the top 100 in England and to participate in a variety of competitions and social events. Coombe Hill Golf Club offers lessons for golfers of all levels and abilities and are available for members and non-members. For further information, please contact the Office 020 8336 7600 or email office@chgc.net .